Nanotechnology can contribute to food security in supply chains of agri production-consumption systems. The unique properties of nanoparticles have stimulated the increasing interest in their application as biosensing. Biosensing devices are designed for the biological recognition of events and signal transduction. Many types of nanoparticles can be used as biosensors, but gold nanoparticles have sparked most interest. In the work presented here, we will address the problem of fruit and vegetable decay and rotting during transportation and storage, which could be easily generalized also onto post-harvest loss prevention in general. During the process of rotting, different compounds, including different gasses, are released into the environment. The application of sensitive bionanosensors in the storage/transport containers can detect any changes due to fruit and vegetable decay and transduce the signal. The goal of this is to reduce the logistics cost for this items. Therefore, our approach requires a multidisciplinary and an interdisciplinary approach in science and technology. The cold supply chain is namely a science, a technology and a process which combines applied bio-nanotechnology, innovations in the industrial engineering of cooling processes including sensors for temperature and humidity measurements, transportation, and applied mathematics. It is a science, since it requires the understanding of chemical and biological processes linked to perishability and the systems theory which enables the developing of a theoretical framework for the control of systems with perturbed time-lags. Secondly, it is a technology developed in engineering which relies on the physical means to assure appropriate temperature conditions along the CSC and, thirdly, it is also a process, since a series of tasks must be performed to prepare, store, and transport the cargo as well as monitor the temperature and humidity of sensitive cargo and give proper feedback control, as it will be outlined in this chapter. Therefore, we shall discuss how to break the silos of separated knowledge to build an interdisciplinary and multidisciplinary science of post-harvest loss prevention. Considering the sensors as floating activity cells, modelled as floating nodes, in a graph of such a system, an extended Material Requirement Planning (MRP) theory will be described which will make it possible to determine the optimal feedback control in post-harvest loss prevention, based on bionanosensors. Therefore, we present also a model how to use nanotechnology from the packaging facility to the final retail. Any changes in time, distance, humidity or temperature in the chain could cause the Net Present Value (NPV) of the activities and their added value in the supply chain to be perturbed, as presented in the subchapter. In this chapter we give the answers to the questions, how to measure the effects of some perturbations in a supply chain on the stability of perishable agricultural goods in such systems and how nanotechnology can contribute with the appropriate packaging and control which preserves the required level of quality and quantity of the product at the final delivery. The presented model will not include multicriteria optimization but will stay at the NPV approach. But the annuity stream achieved by improved sensing and feedback control could be easily combined with environmental and medical/health criteria. An interdisciplinary perspective of industrial engineering and management demonstrates how the development of creative ideas born in separate research fields can be liaised into an innovative design of smart control devices and their installation in trucks and warehouses. These innovative technologies could contribute to an increase in the NPV of activities in the supply chains of perishable goods in general. 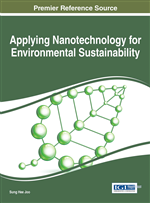 The nanotechnologies have been in the phase of global growth for two decades as investigated by the bibliometric analysis, the topic analysis, the citation network analysis, and by different methods and authors (Islam & Miyazaki, 2010; Chen et al., 2013; Cozzens, Cortes, Soumonni, & Woodson, 2013). In 2011 the European Commission (EC) developed a Recommendation (2011/696/EU) on the definition of nanomaterials. Following this document, a nanomaterial is defined as a natural, incidental or manufactured material containing particles, in an unbound state or as an aggregate or as an agglomerate and where 50% or more of the particles in the number size distribution and one or more external dimensions are in the size range of 1 nm-100 nm. According to EC (2013) and European Food Safety Authority (EFSA, 2014), agriculture is the backbone of most developing countries, with more than 60% of the population relying on it for their livelihood (EC, 2013; European Food Society Association, 2014). The World Bank’s (2013) projection is that the agribusiness will represent a $ 2.9 trillion industry in global investment by 2030 (World Bank 2013). It was recognized that the emergence of nanotechnology could benefit agriculture and food industry (Gruère, 2012; Poudelet, 2013; Handford et al., 2014; Sabourin and Ayande, 2015). Sabourin and Ayande (2015) review commercial opportunities and the market demand for nanotechnologies in the agribusiness sector and foresee that nanotechnology could have a dramatic impact on all sectors of the agribusiness industry in the next 10 years. Nanotechnologies could make the agri-food sector more efficient, increase yields and product quality, increase the agricultural productivity, enhance flavor to food products, extend product shelf life, and increase the quality and safety of food. Many of these benefits will enhance the range, quality and quantity of food products, enable new international market opportunities, and improve profit margins. They will also offer a great potential for improvements for food and water safety and nutrition in developing countries and thus influence the economic growth of industries (Dasgupta et al., 2015). In addition, the benefits of nanotehnologies could improve nutrition, food and water safety in developing countries. The global number of scientific publications related to nanotechnology in general and related to the application of nanotechnology in agricultural production has shown an exponentially growing trend until today (Handford et al., 2014). However, the JRC Scientific and Policy Report on “Nanotechnology for the agricultural sector: from research to the field” (Parisi, Vigani & Rodríguez-Cerezo, 2014), reported that despite many potential advantages, the agricultural sector is still comparably marginal and has not yet made it to the market to any larger extent in comparison with other sectors of nanotechnology application. Some authors did not share the view on the revolutionary role of nanotechnology (Busch, 2008). The reasons for this claim are the low funding allocation to nanotechnologies in the agri-food sector, the lack of interdisciplinary research due to disciplinary barriers and the profit potentials being far greater elsewhere. Further, Busch (2008) explains that after being badly burned by biotechnology, the funding agencies have decided that nanotechnologies are simply not worth the effort. It is also true that nanotechnologies pose enormous regulatory hurdles and some serious knowledge gaps. According to the review of Dasgupta et al. (2015) even if the obstacles listed by Busch (2008) may be true, it turned out that nanotechnology in the agro-food sector is one of the fastest growing fields in nano-research. This is evidenced by an increase in the number of publications, patents and intellectual property rights in the field of nano-agri-food and recent research trends in food processing, packaging, nutraceutical delivery, quality control and functional food. Government organizations, scientists, inventors as well as industries are coming up with new techniques, protocols and products that boast a direct application of nanotechnology in agriculture and food products (Dasgupta et al., 2015). According to some reports, nanosensors are among more promising nanostructured applications in the agri-food sector (Ravichandran, 2010). In the chapter presented here, we address additional application of nanomaterials /nano sensors in agri-food sector which is reducing the logistics costs. The nanosensors use different mechanisms to be applicable in agri-food sector. The nanosensors are used either in packaging to detect food deterioration or in devices for monitoring storage conditions and detection of contaminants (Bouwmeester et al., 2009). Within the agro-food chain, metal or metal-oxide nanoparticles are largely applied (e.g., nano-Ag, nano-ZnO, nano-Cu, nano-TiO2) for purposes like detection of organic molecules, gases, moisture, micro organisms etc. A key component of the biosensing is the transduction mechanisms which are responsible for converting the responses of bioanalyte interactions in an identifiable and reproducible manner. The sensing is based on conversion of specific biochemical reaction energy into an electrical (optical) form through the use of transduction mechanisms. In the chapter presented here, we suggest the use of reaction between an enzyme and analyte, where the analyte is affected by the environmental factor being recorded.